Magically transform your photos into fun, amazing, live experiences to be shared and enjoyed! 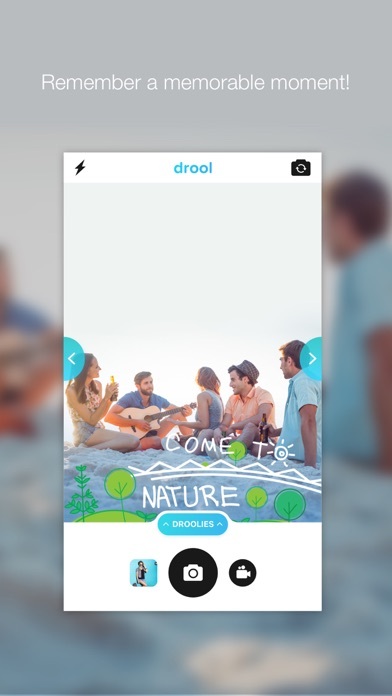 Drool is the #1 smart photo app which uses neuro computing to give you a new *stunning* way to communicate by instantly creating personalized location based designer photo filters! 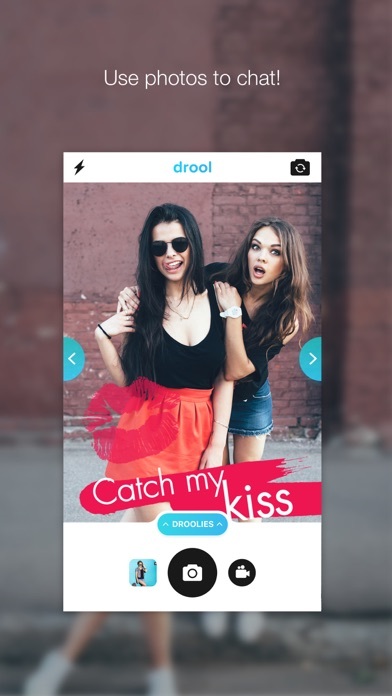 Drool uses our fantastic graphic design templates and a variety of data – your location, time of day, weather, events in your area, and more – to *automatically* create unique photo filters and captions for your photos to make them look awesome. "Make them come alive, come on and turn them on"! - Turn your pictures into unforgettable impressions using our smart AI technology - Brand your photos or videos with an event or a place you like - Add cool mood stickers to your selfies to be sent in no time - Add cool mood stickers to your instagram stories - Share what you are up to and what’s happening around you with friends - *No* effort required – our artists and smart algorithms do the work ! 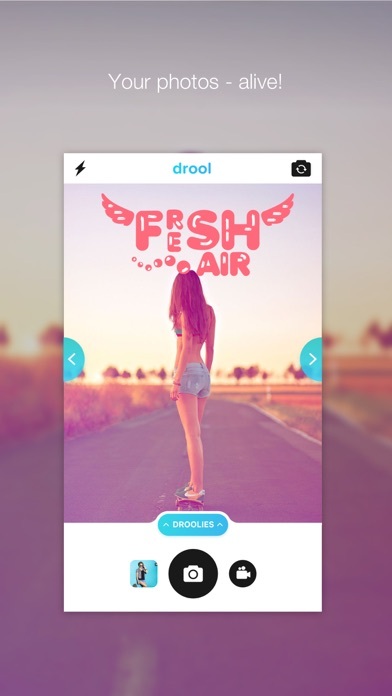 - Daily new filters and design updates Why try being an artist – let Drool do the work! People all around are already joining the frenzy – join the trend and be the first among your friends. Be warned: Drool may change the way you communicate forever! 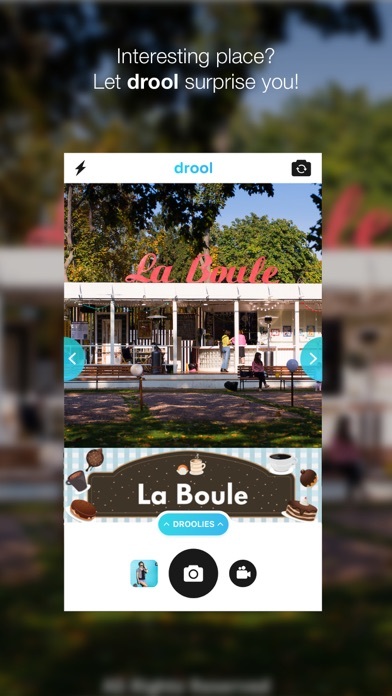 Just swipe between the geo filters Drool generates for you and share a colourful moment on social media. Communicate with your friends with cool graphics and fun stickers. Feel free to select a category you like – and surprise them or make them laugh! Our art designers are working hard to create new designs daily – all to make sure the music never stops and you don’t miss the beat of events and places around you!